Everlasting Love is a gorgeous pendant that links you with the ones closest to you and lets you honor them by keeping them always next to your heart. With two circles locked in an eternal embrace, this hand-polished sterling silver pendant symbolizes the never-ending love that we share with those who have passed before us, and who still have a deep place in our souls. 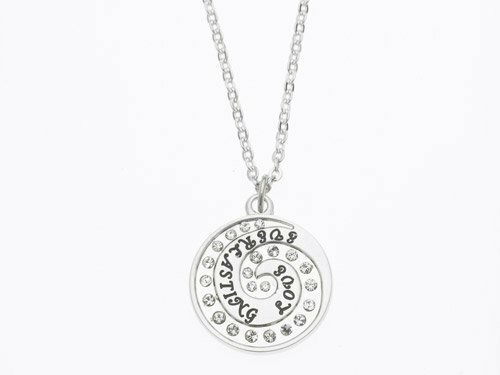 Lines of Swarovski crystals trace those circles, and preserve the never-ending connection between us and our loved ones- just as the rhodium plated chain keeps us in their loving embrace. Your bond of love is eternal, and with this pendant, you will always have a connection between this world and the next.